Wood, rubber, paint, bell, electronic components, video tracking, people running, 31x26 in. 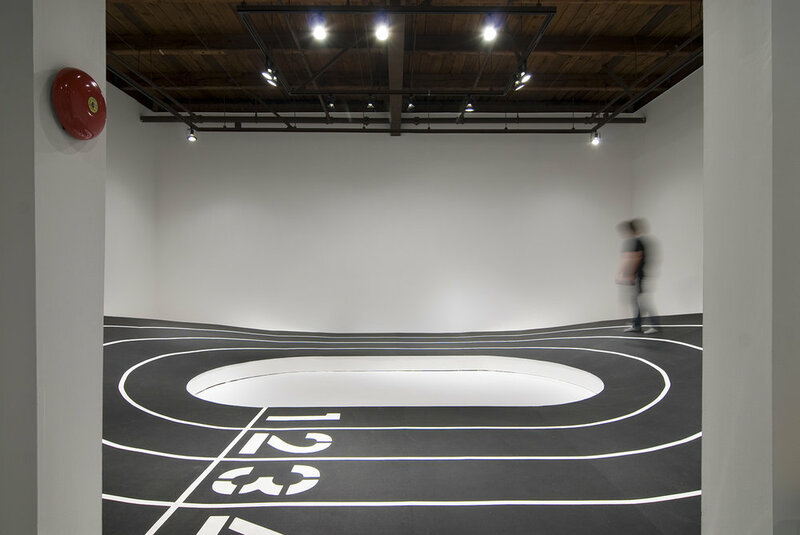 Inspired by the artist’s endurance training using the recreational paths and racecourses of New York City, Limited Run enacts an indoor track constructed within the confines of the gallery walls. Visitors are encouraged to run or walk around the looped spectacle. A fire bell rings at each completed 20-meter lap. During the exhibition, Nova organized racecourse activities with community groups as well as used the track for her own running regimen.